In your search for the best event app platform, there’s a good chance you’ve gotten lost in a sea of companies claiming to have better features than the rest. The truth is, every reputable platform has a similar feature list. We have been building and perfecting our platforms for years, and have figured out what features do and don’t work. The best mobile app platform is not necessarily the one with the most features checked off your wish list, but rather the one that will offer you the greatest overall experience. This means you have to think about some other variables that come into play when you partner with an event app platform. What Really Matters in an Event App? Now that’s not to say Guidebook doesn’t have all the features you’re looking for in a mobile app. In the vast majority of cases, we do. But we also recognize it’s harmful to disrupt your build process with unnecessary features that simply distract you from your real goals at hand, or to throw features into our product only to say we have them. Trust us, you don’t want to integrate Snapchat and Spotify into your app. Guidebook offers you complete customization and branding of your app. When you build a Space, you can custom brand it (and all your guides that are housed within it), according to your organization’s branding specs. Want to save time and choose from our suite of pre-made templates? You can do that too. From day one, we’ve designed our event app templates with the end user in mind. That’s why people simply love using Guidebook. In fact, we’ll often see attendees tweeting at their event’s organizers to make sure they’re sticking with Guidebook, next time around. After all, if the end user doesn’t even want to use your app, what’s the point of having one? Our Builder platform makes it ridiculously easy to create an app. Through an intuitive drag-and-drop interface, it’s as simple as plugging your content into the platform and publishing straight to Guidebook. Updates show up immediately so you can make on-the-fly changes, even making updates from your own smartphone! Hundreds of clients go live within a day of accessing our platform. Support is one of those things you don’t necessarily think about when you’re looking at platforms, but that you definitely notice when you actually rely on them. Lucky for you, we have an awesome, award-winning Support team, in the U.S. With a Net Promoter Score of 58 (3x higher than the industry average), an average first response time of just 22 seconds… and with offices in San Francisco, Raleigh, or our remote locations in London and Seoul, you’ll be talking to us directly within business hours. No more relying on outsourced support who don’t even understand the platform. Read more about our amazing Support team here. Among other things, Builder’s Metrics tools provide you detailed and intuitive insights into adoption rate and usage of your guides. We aim to deliver information that’s actually important to you to prove ROI and improve your guides; other platforms seem to show you random charts and graphics just for the sake of doing it. Regardless of how you discovered Guidebook (event apps, campus apps, or enterprise apps), our Builder itself is flexible enough to cover an infinite number of app possibilities, from weddings to city tours and beyond. Don’t be afraid to get creative! 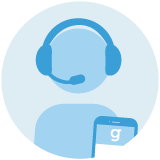 Anyone you speak to at Guidebook is here because we’re passionate about the future of mobile technology. That means we stay more up-to-date on customer desires and industry trends than anyone else out there. So rest assured that when you’re talking to our team, you’re talking to the best. Not only do you get aggregate data through our Metrics tools, but also you get access to per-user data about engagement and behavior. This is a key to giving you more leverage when selling to sponsors or simply trying to improve the experience of your event before next year rolls around. 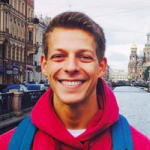 When you go with Guidebook, you’re designated your very own Account Manager whose primary goal is to ensure your events run smoothly. Together, you’ll create a tailored promotional strategy to ensure you maximize your app’s adoption rate. It’s one thing to know you have 24/7 technical support, but another entirely to know you can call up your own assigned point of contact to brainstorm strategy, implementation, and everything in between. 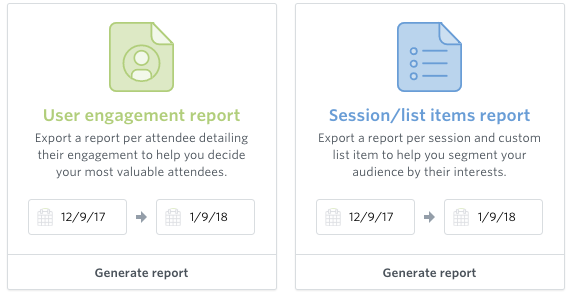 With Mobile Admin, you can make on-the-fly updates to schedule sessions, send push notifications, or give updates to your attendees straight from your smartphone or tablet. No one else does this. Need we say more? Tens of thousands of companies and individuals trust Guidebook to power their mobile experiences. With over 50,000 deployments, we pride ourselves in being the world’s best event app platform. See for yourself why so many people continue to build an app with us each year.